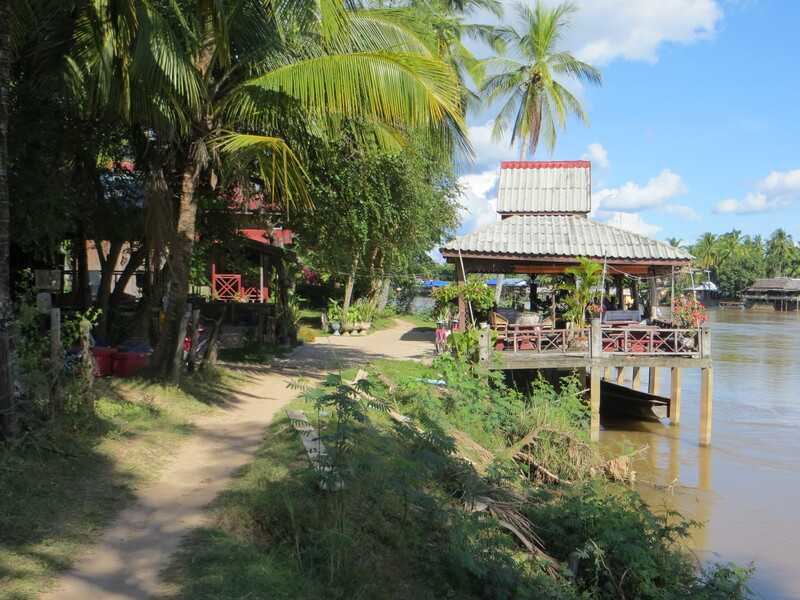 Here in Champasak we are staying at a place called The River Resort. 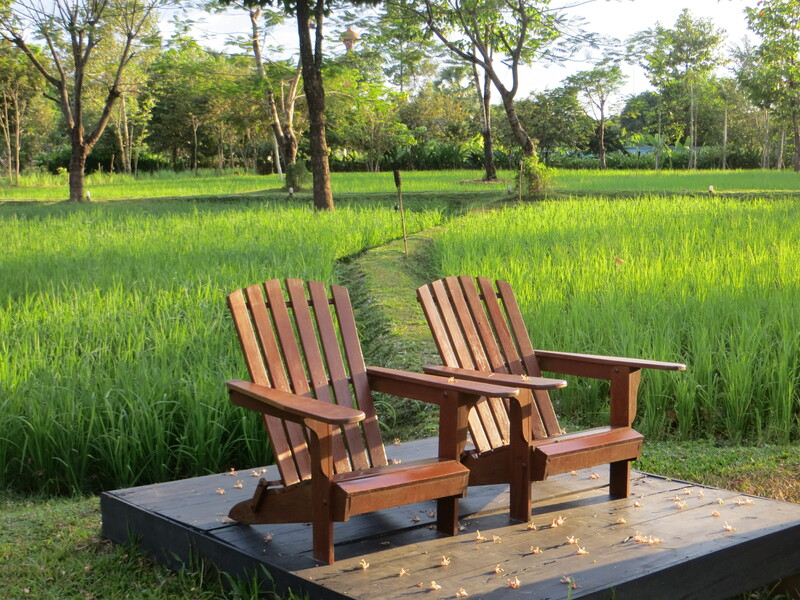 We have a nicely furnished little bungalow with a wonderful terrace overlooking the Mekong. 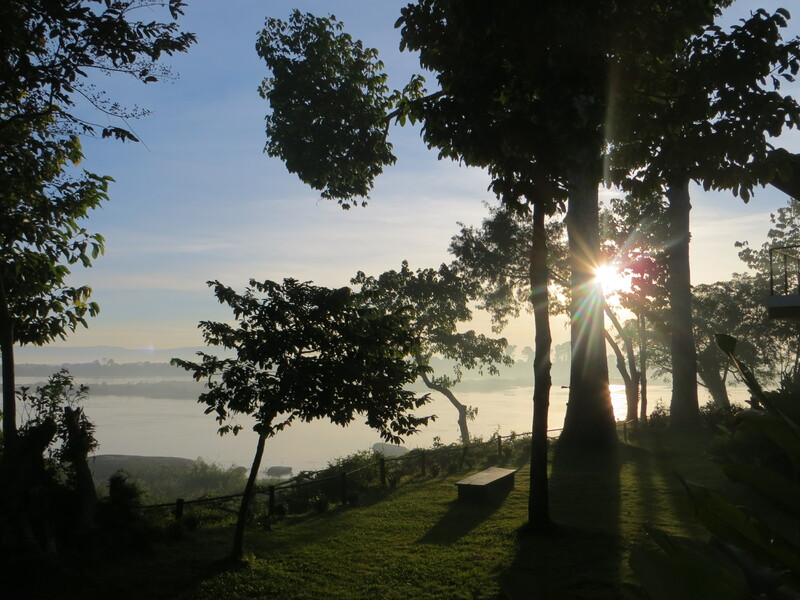 Watching the sun come up over the river is incredibly peaceful. We intended to stay here for three days, but Jim has been recovering from a cold and couldn’t bear to leave this heavenly spot. So, as we do with increasing frequency, we added a day to our stay. It worked wonders for Jim’s ailments. Later this morning we will head a little northeast to get up into the Bolaven Plateau. There we expect to spend a couple days around coffee plantations, water falls, and considerably cooler weather. We don’t expect to have any Internet access there. 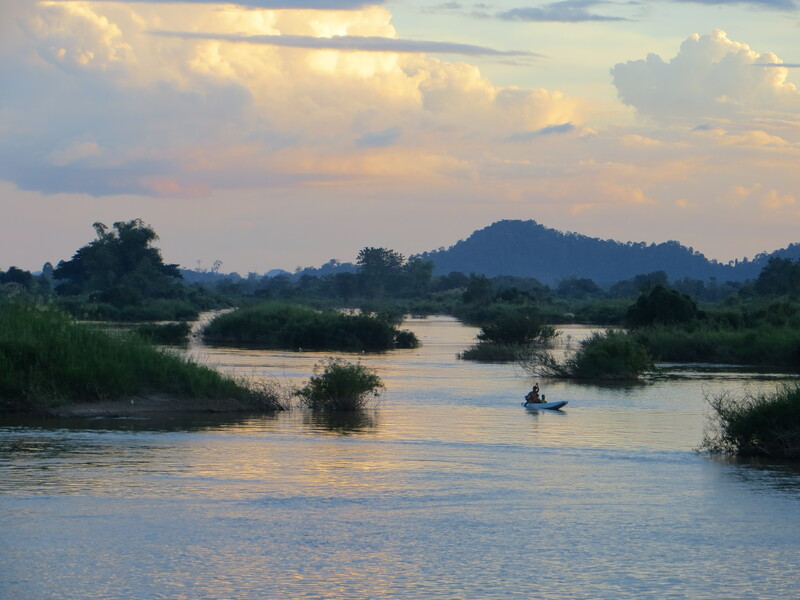 Then we’ll come back down to the Mekong and continue our northward journey up into Central Laos. From the Four Thousand Islands in southern Laos, we took a bus yesterday a few hours further up the Mekong river to Champasak. 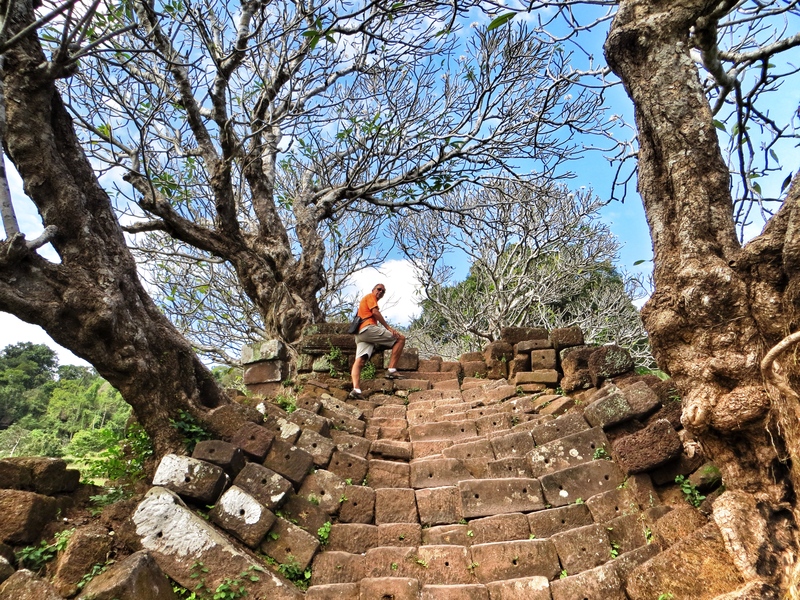 The highlight of the area is Wat Phu Champasak, the ruins of an ancient Khmer religious complex that climbs dramatically up the side of a mountain. This morning we bicycled out to see it. It was a pleasant 15 km ride each way, despite the poor quality of the bikes and the pretty intense heat. At first the temple complex didn’t look like too much. 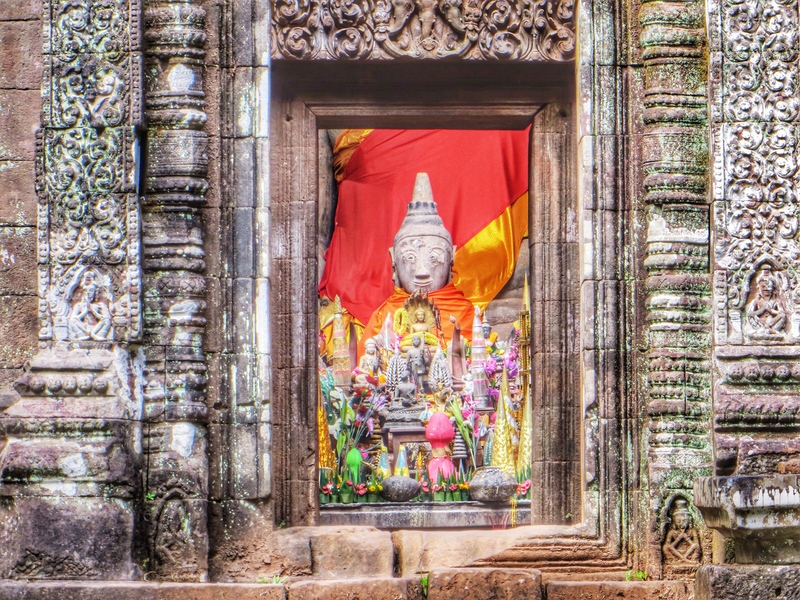 While it might have once rivaled Angkor Wat in importance in the Khmer empire, there just wasn’t that much left. 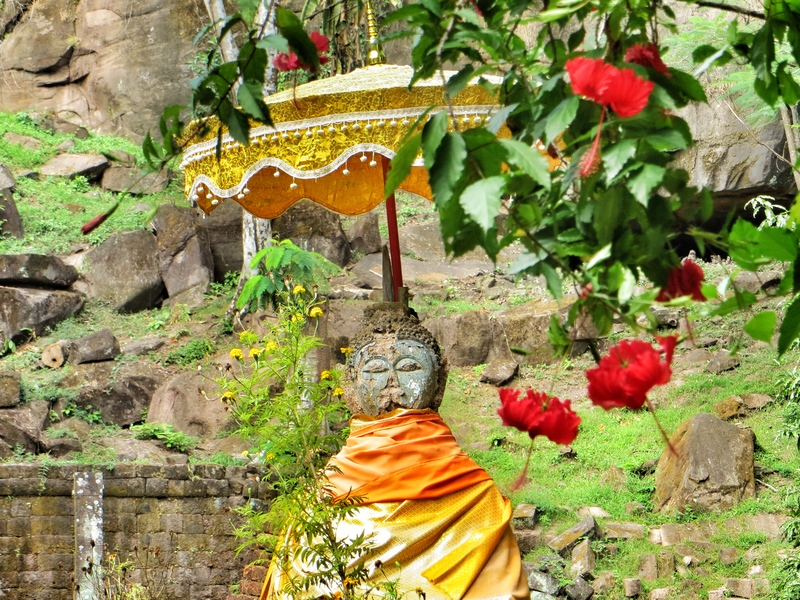 But as we climbed the steps further up the mountain, we discovered a photographer’s paradise of scattered ruins, dramatic vistas, and colorful shrines. 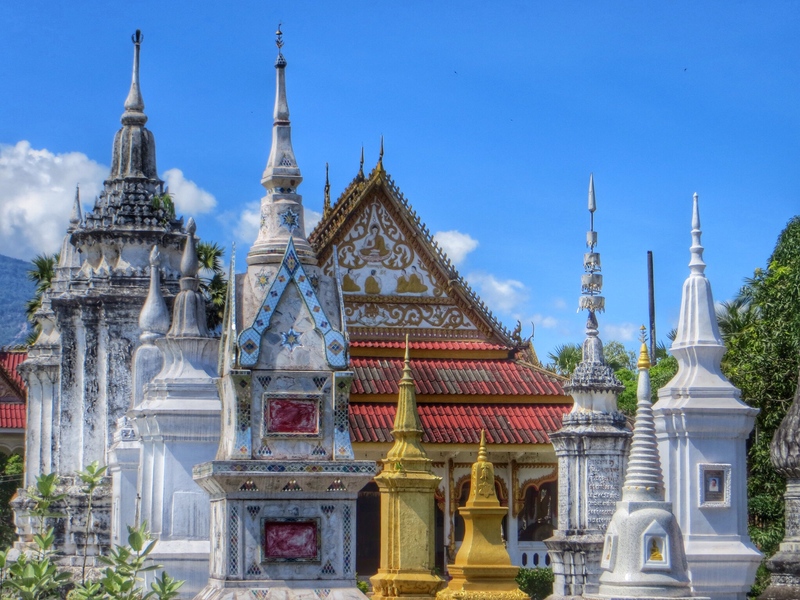 Laos has a reputation among travelers for being a pretty laid back place. 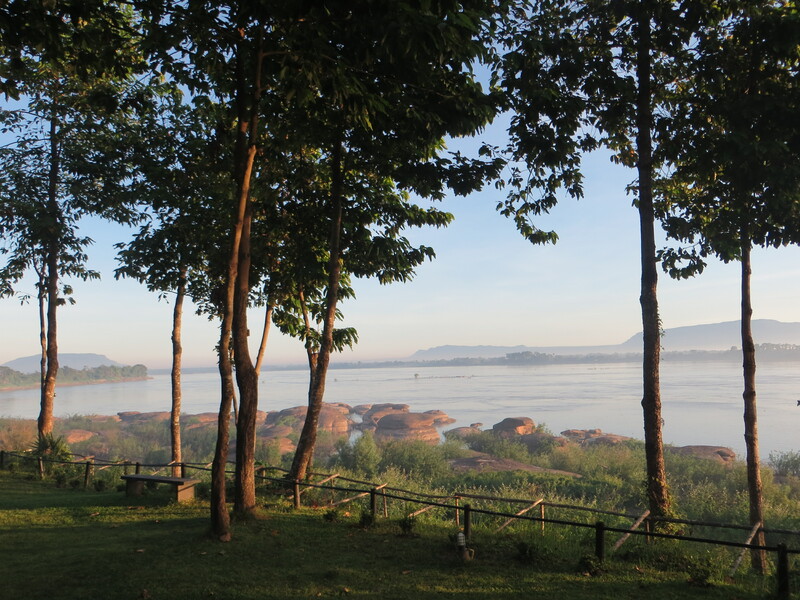 And our first destination here — the Four Thousand Islands — might just be one of the remoter and laid backer parts of Laos. 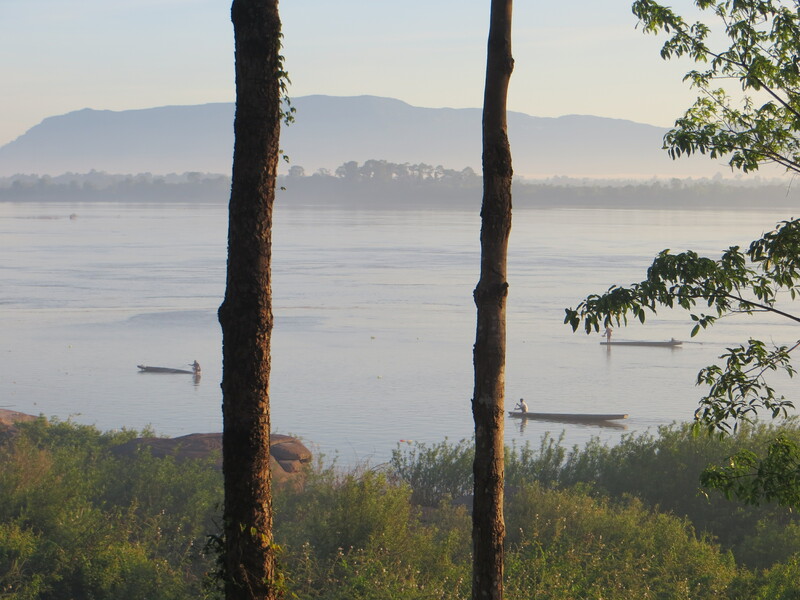 These islands are scattered in the Mekong river in southern Laos, just over the border from Cambodia. 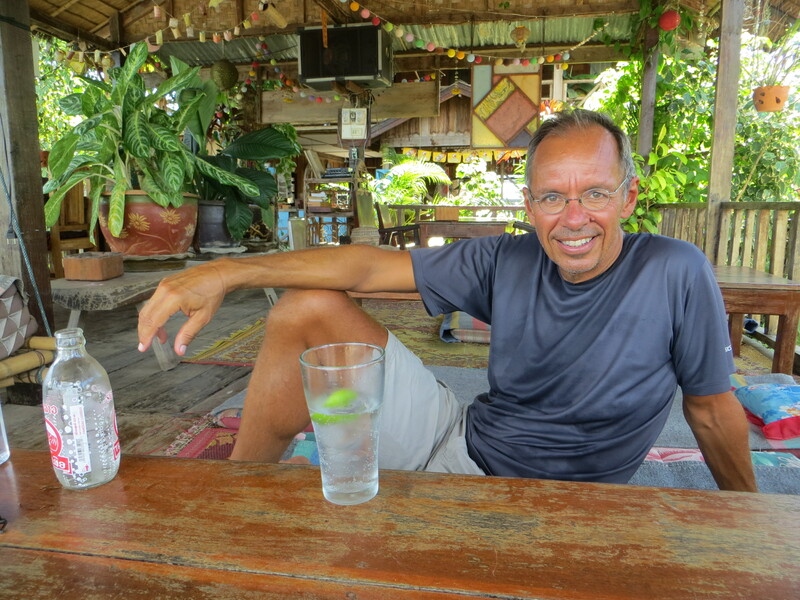 We are spending three days on Don Det, an island linked by a bridge to the neighboring island of Don Khon. 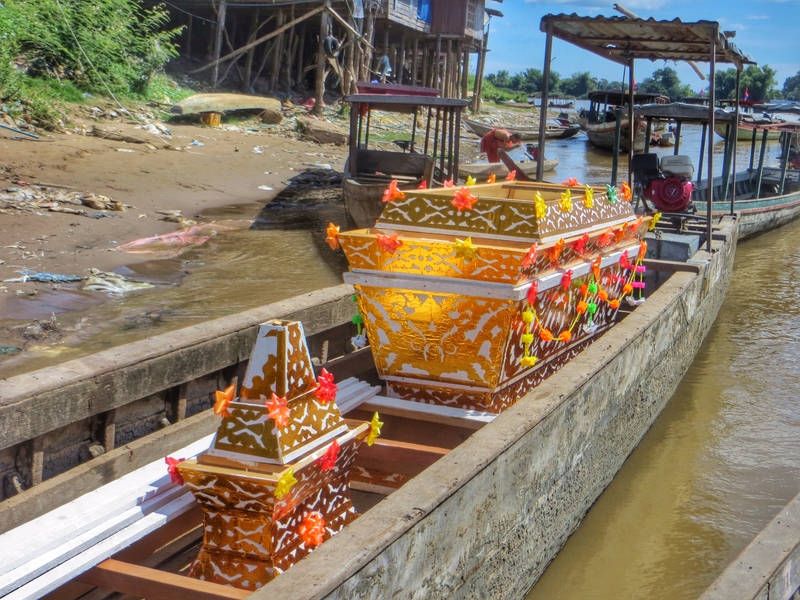 The main activities include walking or bicycling the dirt roads of these two islands, visiting some pretty dramatic Mekong waterfalls on Don Khon, and, well, hanging out.